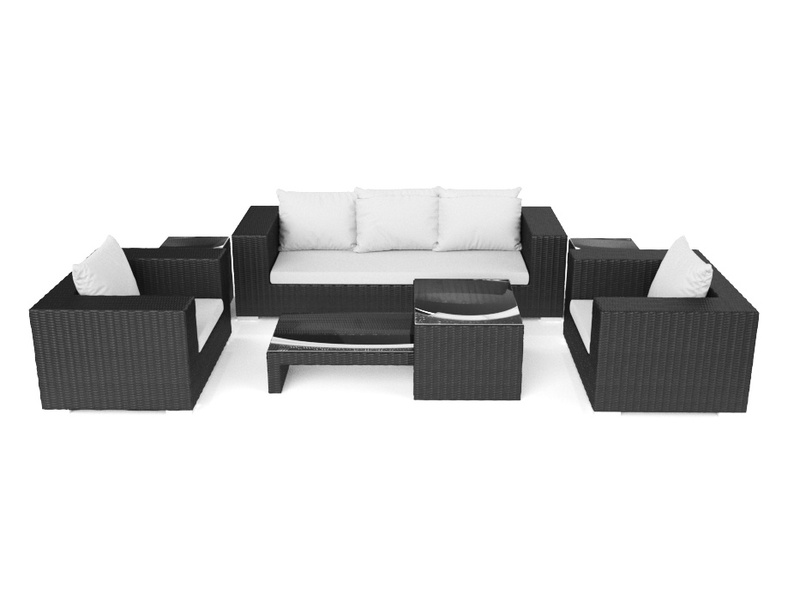 The garden furniture set with everything you need. 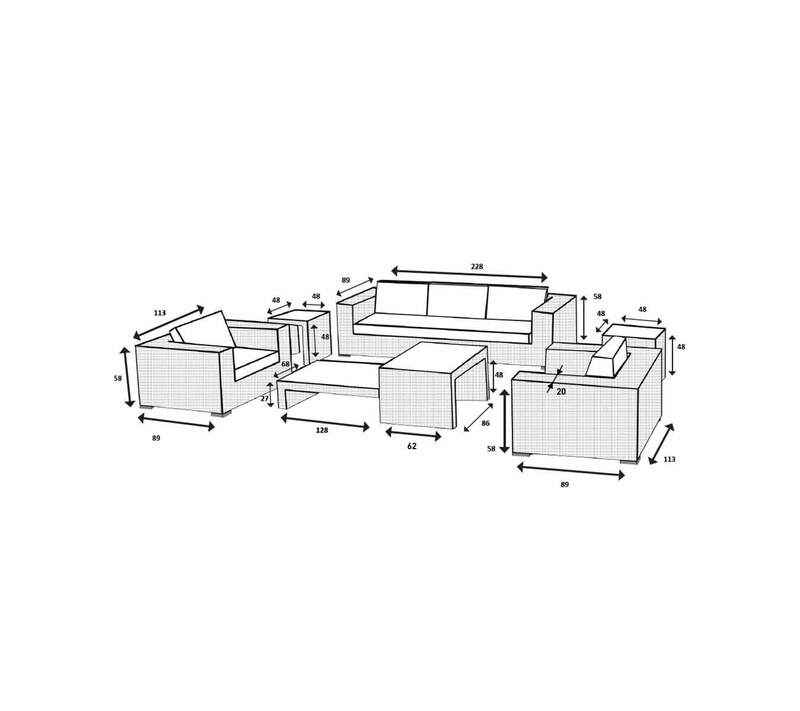 MATELIA consists of a 3-seater sofa, 2 armchairs and a whopping 4 tables! There’s lots of space for coffee cups, wine glasses, books and magazines. Expect to attract attention from your neighbours, who will no doubt ask you where one can buy such fabulous garden furniture. Just send them our way! Up to 5 people can comfortably sit on MATELIA at once. All elements of the set have a lightweight, powder-coated aluminium frame. The weather-proof rattan is hand-woven around the frame. This makes each element unique! The 10cm thick cream-white seat and back cushions are, of course, included in the delivery. You’ll be surprised at how easily you can store the set when not in use. Check out our photo gallery to see how you can stack all 7 elements together.